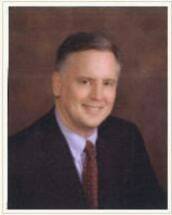 Bobby Gilliam is the managing partner of the firm and is listed in The Bar Register of Preeminent Lawyers. He is also listed in Best Lawyers in America and Super Lawyers, most recently in 2016. He is the former President and an officer in the Louisiana Association of Defense Counsel, the largest organization of defense counsel in the state and a Guest Lecturer at Tulane University Law School. He has an active Federal and State litigation and appellate practice, appearing in courts throughout Louisiana and in surrounding states including the U.S. 5th Circuit Court of Appeals. He also practices extensively before the Louisiana Public Service Commission. His practice focuses on the defense of corporate clients including railroad law and litigation, public utility and regulatory law, employment and labor law, and insurance and corporate defense litigation. The approval and certification by the Louisiana Public Service Commission of generating and power plants with value of over $2.5 billion and multiple rate cases including for the years 2007, 2008 and 2009 and the acquisition of a lignite mine currently serving as the sole fuel supply for a generating facility. Extensive railroad litigation in grade crossing, FELA, occupational,environmental, employment and trespass litigation in state and federal courts including defense verdicts and Motions for Summary Judgment and Partial Summary Judgments for the defense. Multiple labor arbitrations and extensive employment litigation including multiple successful defense verdicts and summary judgments in trial courts and appeals to the U.S. Fifth Circuit. The associated litigation and regulatory approvals of the merger and acquisition of two Louisiana electric cooperatives including the first transaction of this nature in the State of Louisiana in 1993 and second transaction being completed in 2010.